JIMMY KIMMEL: We Have A Planet Named Uranus And We Can't Have A Building Named Harry Baals? 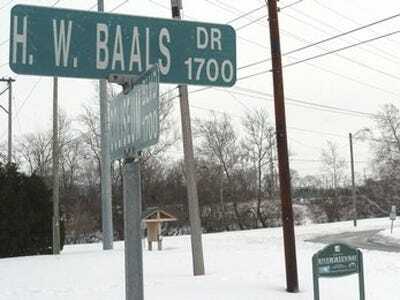 Much to the dismay of many a college sophomore across the land, it looks like Fort Wayne, Indiana will probably not name their new $75 million government centre after former mayor Harry Baals.Mayor Baals, who served nearly four terms in Fort Wayne, died while in office in 1954. According to the Fort Wayne Journal Gazette, Deputy Mayor Beth Malloy has said it was “probably not” going to happen, despite plenty of attention from their online poll they put up at www.feedbackfortwayne.org. They reportedly have over 9,000 votes. “We’re not going to make any decisions that look bad,” Malloy said. “They didn’t want to be the target of late night jokes. Too late!” said Jimmy Kimmel on his show last night. Then he gets up on his high horse and delivers a sermon about American freedom of speech. It’s awesome.